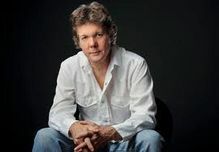 — Over With You, Steve Forbert’s first studio album in three years, is a focused song cycle featuring an earnest account of the often-mixed emotions involved in personal relationships. The ten new compositions combine the plainspoken honesty and insightful contemplations into this topic that perhaps only a man from Mississippi, the home state of both Jimmie Rodgers and Tennessee Williams, could provide. And these songs make the case that Forbert should be considered in the first rank of American songwriters. Produced by Grammy Award-winner Chris Goldsmith (who has worked with Ben Harper, the Blind Boys of Alabama, Big Head Todd and the Monsters, Ruthie Foster and Charlie Musselwhite), Over With You will be released Sept. 11, 2012 on Blue Corn Music. From the first song, All I Asked of You, with its “sore-tailed cat” and its “one-armed man,” Over With You takes the lyrical brilliance of Forbert, practiced in capturing the essence of human interactions, and pairs it with a cast of accomplished young musicians who add a layer of supple, empathetic support. The result is a rich musical landscape where the emotional depth of the lyrics, and the affinity of the musicians supporting them, is palpable. “This album is very personal,” Forbert says. “The songs are about what people feel in deep relationships — mainly love and friction. Forbert says he wanted the new album — recorded at the cozy Carriage House studio in Los Angeles’ Silver Lake neighborhood — to be musically sparse. There is no bass on some tracks, for example, creating a haunting vibe on the songs and leaving the spotlight firmly on the lyrics. Nonetheless, the musicianship is superb, with Forbert working for the first time with rising star Ben Sollee on cello and bass, Jason Yates on piano and organs, Michael Jerome on drums, and Sheldon Gomberg on electric and upright bass. There is even a guest appearance by another great songwriter, Ben Harper, as a guitarist on three tracks, including a smoldering solo on the upbeat focus track That’d Be Alright. Sollee, now a solo artist, formed the Sparrow Quartet with Abigail Washburn, Bela Fleck and Casey Driessen in 2005 and has played and recorded with the likes of My Morning Jacket and Vienna Teng. Yates has played keyboards for Harper, Natalie Merchant, Macy Gray, Mazzy Star, Michael Franti and G. Love. Jerome also has his share of credits, playing and recording with Richard Thompson, the Blind Boys of Alabama, and the Velvet Underground’s John Cale. Gomberg is the engineer at the Carriage House studio and has played bass for Rickie Lee Jones, Warren Zevon, Ryan Adams and others. While these artists all have world-class studio chops, they are primarily known for working as members of various groups or as solo artists themselves, and that background helps make Over With You sound as fresh as Forbert’s debut Alive on Arrival or his 1979 gold-certified sophomore record Jackrabbit Slim. Forbert calls “Sugarcane Plum Fairy,” the last song on Over With You, “a return to ‘Goin’ Down to Laurel’,” one of the most beloved cuts on Alive on Arrival. He says it’s about returning to a relationship a year or so later and finding everything out of place and the magic completely gone. After his first two records came a plethora of well-crafted, unforgettable songs on such albums as Little Stevie Orbit, Streets of This Town, The American in Me, Mission of the Crossroad Palms and Evergreen Boy. His tribute to Jimmie Rodgers, Any Old Time, was nominated for a Grammy Award in 2004. Forbert’s lengthy discography has established him as an American icon. His music was pure Americana before that genre was recognized. The road and the changing landscape are an integral part of the hard-working Forbert’s life and songwriting. He was a truck driver before releasing his first album and says there’s “romance” involved when he gets in the car after each show and drives to the next gig in another city. Fourteen albums on, Forbert’s stamp on American music is akin to the legendary footprints of Warren Zevon, Gene Clark, Gram Parsons and other top American songwriters, and he has often been compared to the likes of Bob Dylan, Tom Petty, and Bruce Springsteen. The former group did not get their due during their lifetimes, and that shouldn’t happen to Forbert. He deserves to be among the latter group.